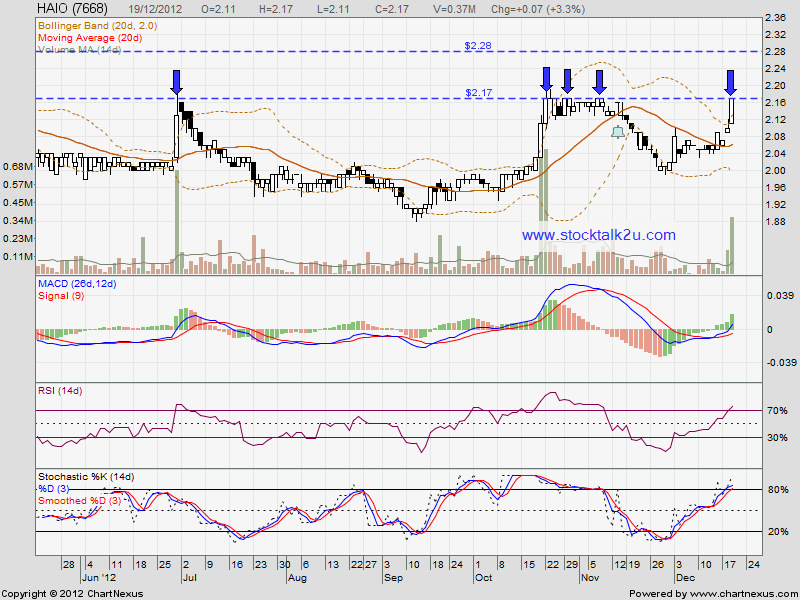 HAIO retest RM2.17 resistance level again. How about this round, will it able break through? Immediate resistance @ RM2.17 level. Immediate support @ MA50 / MA20 level. 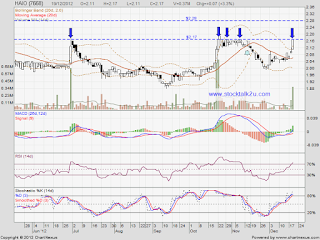 If able break throuigh RM2.17, higher high been formed.